We are so excited to share some of our Bulls i Toy favorites with you that make amazing stocking stuffers. They also bring the hugest smiles (as you can see by my girls faces). Wait till you see what they have available! SQUEEZE and FEEL THE SQUISH! You can find most of these in store at your local Target. 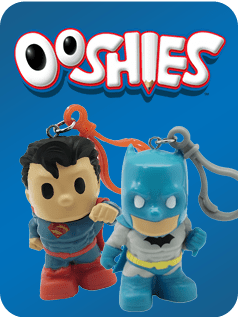 Squee-ZOO-Balls , Squish’Ums and so much more! Squee-zoo balls are so soft and of course, squeezable! These are not just a plush they have a slow rise foam inside making them super squeezable. Your kids will love collecting these. We have the pink unicorn and grey owl and found them at Target. 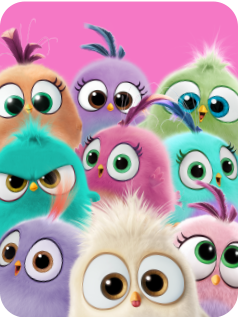 There are 8 super fluffy animals to collect. So adorable and Squishy! The surprise packs contain a new Slo Rise Squish’ Um pet for you to collect. COLLECT ALL 16 SCENTED STYLES OF PETS INCLUDING PUPPIES, KITTENS, BUNNIES AND UNICORNS! Available at Target. Squish’Ums Yummy series is delightfully fun with their Ice Cream Truck Surprise bag. Inside is a. Ice cream, frozen treat, donut or cupcake. You can collect all 16 brand-new treats! 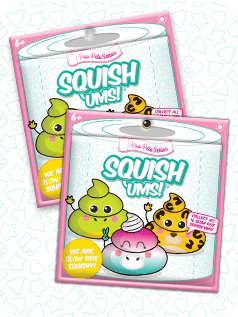 Do your kids love slow rise squishies? This series has vibrant fun colors in a skull theme and they have 16 styles to collect. Which one will you get in your surprise pack? Head over to your local Target store and see all the great Bulls i Toy Squishable and Squeezable toys available for you to start collecting, today!